Wisconsinites, as you know, love their cheese. And we feel very lucky to have so many strong cheesemakers right here in our home state that supply us with local products of amazing quality. 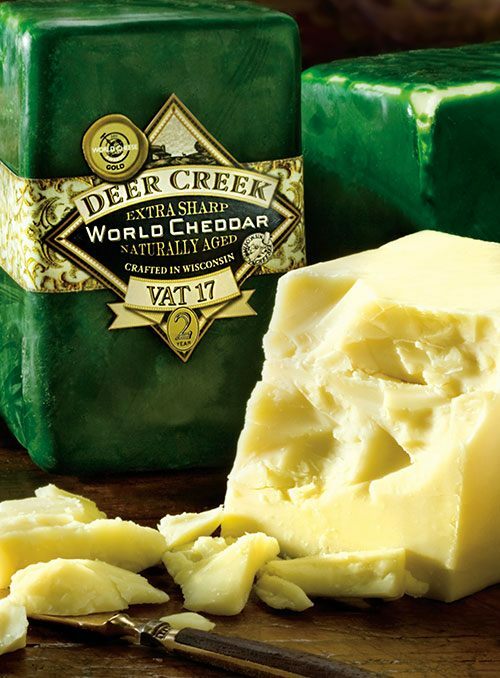 A quick walk through our department and you’ll notice familiar names like Sartori, Sargento, BelGioioso, Carr Valley and Saxon in addition to some of the new kids on the block, like Deer Creek. You’ll also see a host of Wisconsin cheddar, from fresh to aged, all hand-cut and hand-wrapped right in our store. In addition to many homegrown companies, you’ll find cheese from renowned providers all over the world, including Swiss cheese from Switzerland, manchego from Spain, feta from Greece, brie from France and the king of cheeses, Parmigiano Reggiano from Italy. Oh, and squeaky fresh cheese curds, from the capital of the cheese world: Wisconsin! The right pairing can bring out nuanced flavors in any cheese. So our cheese department offers more than just cheese. You’ll also find select crackers and jams to complete your cheese tray. Just ask our cheese associates to help you find the right match. Each month we highlight a unique value in the department with our “Cheese of the Month” program. (Clever name, right?) The savings can get as high as 50% off, so make sure to look for the COTM logo. You’ll even see the logo on previously featured cheeses, so it’s a good way to spot some of our favorites.